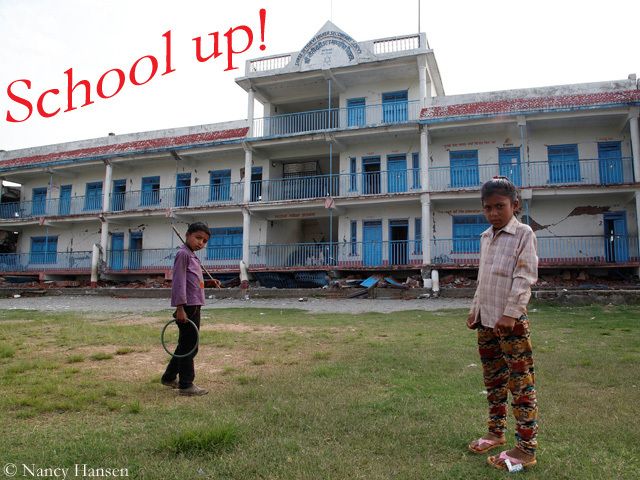 I am moved, I am over the moon: The expedition “School up!” was successful. The summit has been reached – after almost four years of ascent, which demanded great commitment and staying power from all members. 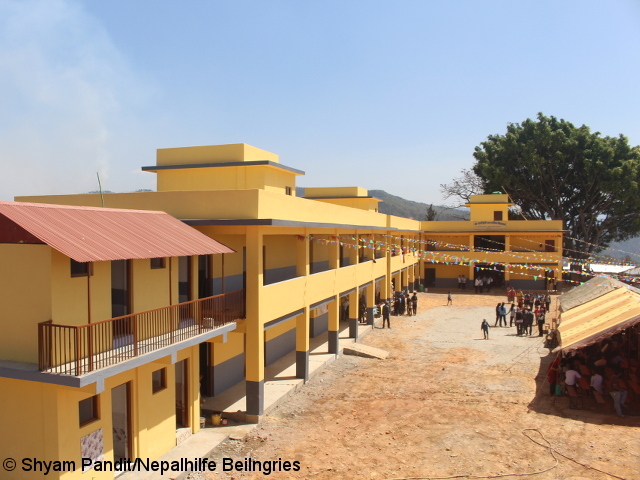 A few days ago the people in the small mountain village of Thulosirubari, some 70 kilometers east of the Nepalese capital Kathmandu, celebrated the completion of construction work on the new school. 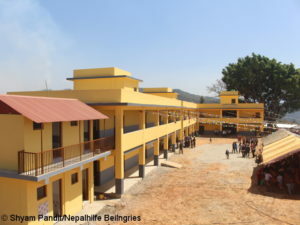 After another construction period of almost one year, the third section of the building has now also been completed, with eight new classrooms and a two-story toilet house. A total of 20 classrooms, a teachers’ room and a sufficient number of toilets are now available for several hundred children and young people from Thulosirubari and the surrounding area. Who would have thought this possible after the catastrophe on 25 April 2015? 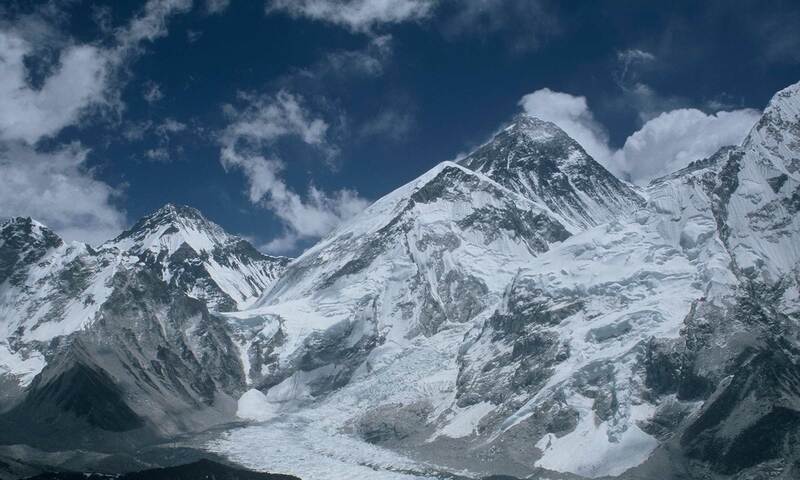 The spring season on Mount Everest and the other eight-thousanders in Nepal is starting. On Everest, the Icefall Doctors, a team of eight specialized Sherpas, have begun to set the route through the Khumbu Icefall and secure it with ladders and ropes. Some operators of commercial expeditions have already sent staff to base camp to prepare for the arrival of their clients in April. As in previous years, a large number of Chinese Everest summit aspirants are expected this spring. The China market is booming: Among the wealthy Chinese, mountaineering is in. Mingma Gyalje Sherpa, head of the Nepalese expedition operator “Imagine Nepal”, recognized this potential early on. For years he has been leading Chinese climbers to the top of the highest mountains on earth. In 2018, his company achieved summit successes on five eight-thousanders: Everest, Lhotse, Kangchenjunga, Manaslu and Broad Peak. 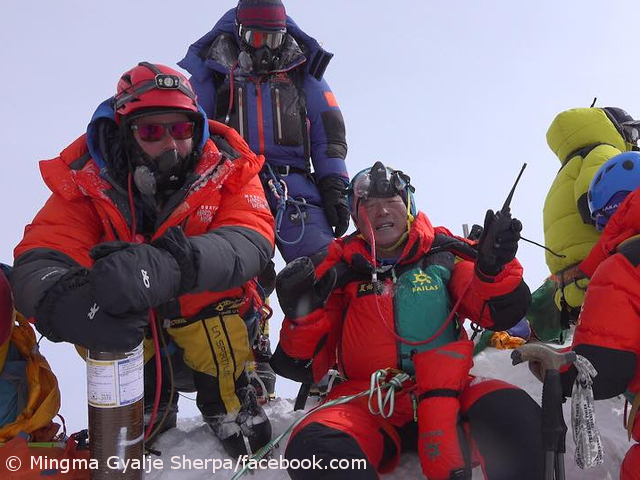 Among his team’s Everest summiteers was Xia Boyu, a double amputee from China. 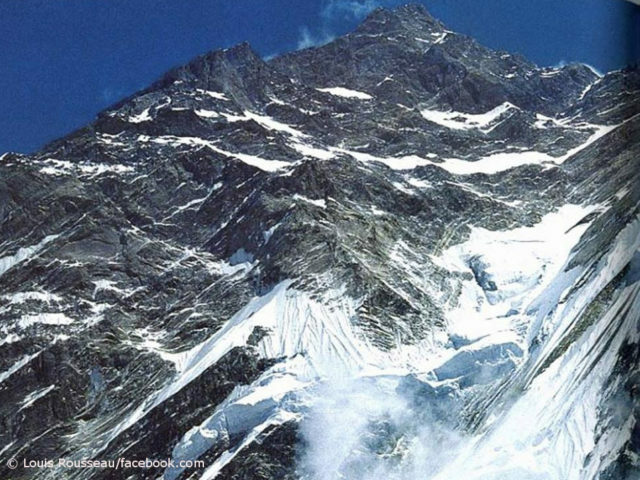 Mingma himself has already scaled twelve of the 14 eight-thousanders, eleven of them without bottled oxygen. Only Gasherbrum II in Pakistan and Shishapangma in Tibet are still missing in his collection. He has reached the 8,850-meter-high summit of Everest five times. I asked him about his assessments of the Chinese boom on the eight-thousanders. Mingma, you will lead once again an expedition to Mount Everest this spring. Will Chinese mountaineers also be part of your team this time? 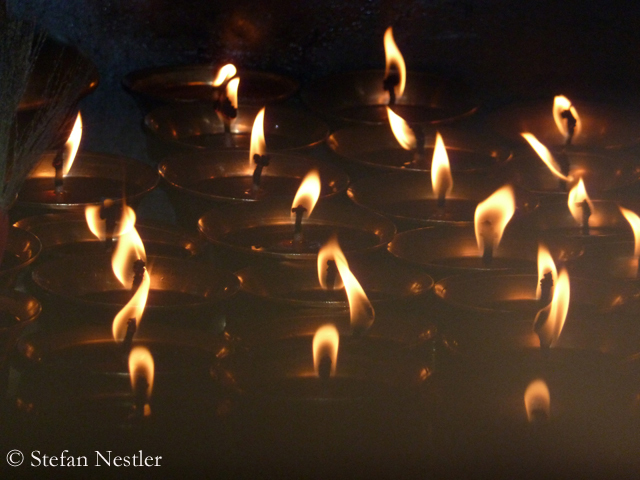 “We’re heartbroken; we inform you that the research of Daniele and Tom has ended. 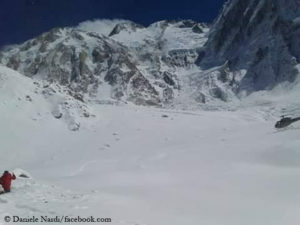 A part of them will always remain on the Nanga Parbat,” Daniele Nardi’s home team wrote on Facebook. “The big pain hurts; facing objective facts and after doing everything possible finding them, we must accept what happened.” So now it’s sad certainty: 42-year-old Italian Daniele Nardi and 30-year-old Brit Tom Ballard have died while trying to fully climb the striking “Mummery Rib” in the Diamir Face for the first time. 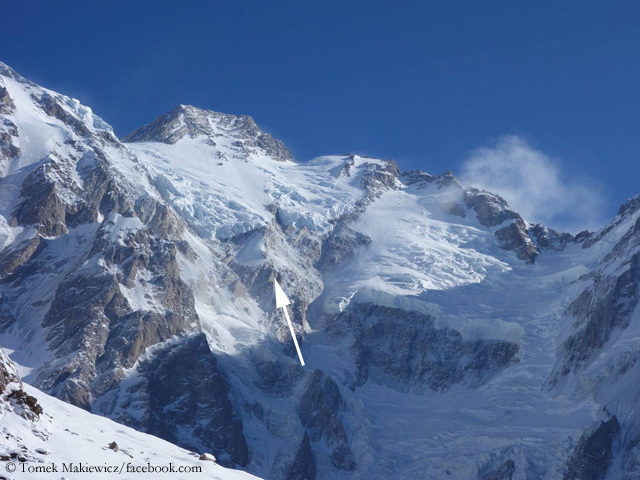 There is much speculation these days about the search for the two climbers Daniele Nardi and Tom Ballard missing on Nanga Parbat. And it’s not always easy to keep facts and assumptions apart in the countless publications. Nardi’s home team announced today that Spaniard Alex Txikon said he discovered yesterday with a telescope from base camp “two silhouettes” on the Mummery spur. Actually, it was planned to fly to this spot by helicopter today. 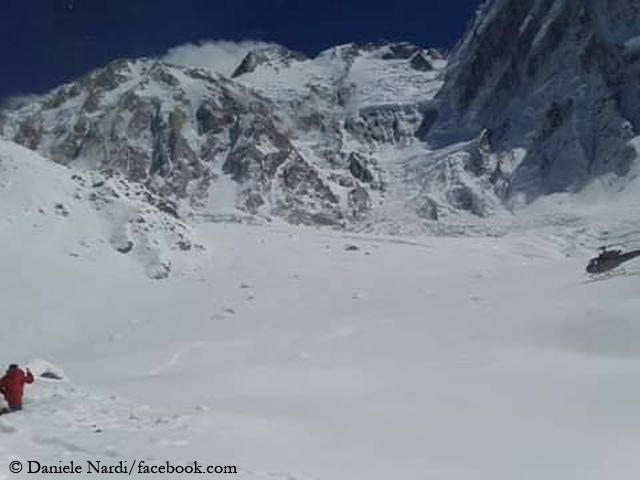 Even ten days after the last sign of life of Daniele Nardi and Tom Ballard from Nanga Parbat, there is still no trace of the two missing climbers. 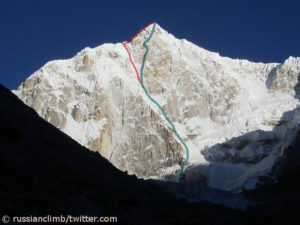 After three days of searching in vain for the 42-year-old Italian and the 30-year-old British in the area around the “Mummery Rib”, a striking rock spur in the Diamir Face, and today also on the nearby Kinshofer route, the Spaniards Alex Txikon and Felix Criado as well as the Pakistanis Muhammad Ali Sadpara and Rahmat Ullah Baig returned to base camp. The rescue team had also used camera drones during their search. 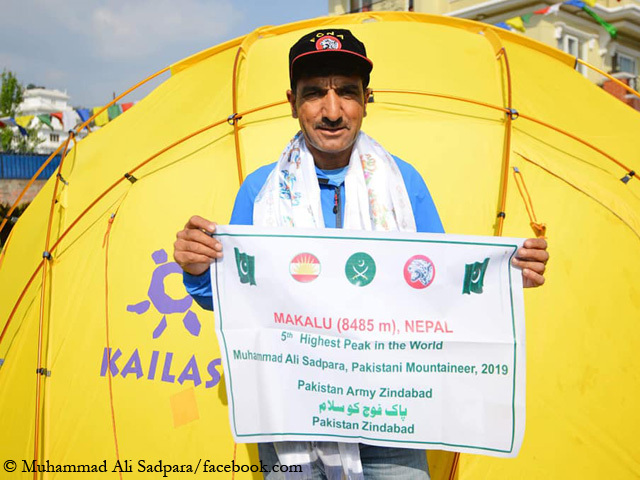 On 8,125-meter-high Nanga Parbat in Pakistan, two of the mountain’s three first winter ascenders, Spaniard Alex Txikon and Pakistani Muhammad Ali “Sadpara” , are currently searching for the two missing climbers Daniele Nardi and Tom Ballard. 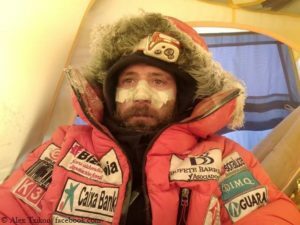 The 42-year-old Italian and the 30-year-old Briton had last signed up from the “Mummery Rib” at an altitude of 6300 meters on 24 February. The hope of finding them alive is fading. 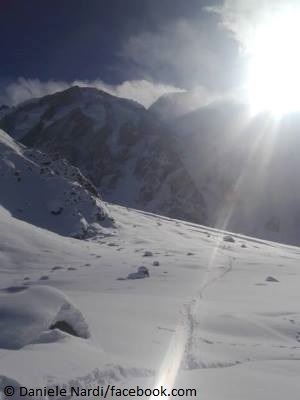 Finally the weather has cleared up again at Nanga Parbat, so that the search for the climbers Daniele Nardi and Tom Ballard, who have been missing for eight days, has been resumed. With a military helicopter the Spaniard Alex Txikon, three of his team members and the Pakistani mountaineer Rahmat Ullah Baig were flown today to the ninth highest mountain in the world. “We have pitched up our Camp on the plateau between Camps 1 and 2 at an altitude of 4,850 meters,” Alex reported according to montagna.tv. “The weather is splendid”. 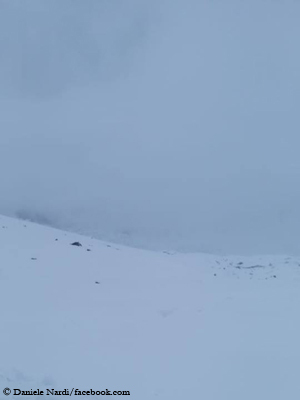 But due to the warm temperatures the danger of avalanches is increasing, says the 37-year-old, adding that they reconnoitered the mountain by helicoptery very accurately – the Kinshofer route, then the Mummery Rib and finally the glacier area between Camp 3 and the spot where the helicopter landed. “We reached an altitude of about 7,100 meters. Unfortunately there are no visible traces of our friends.” Txikon wanted to climb up to Camp 2 with another mountaineer. The team will also search the area with camera drones. We defend ourselves internally against it. 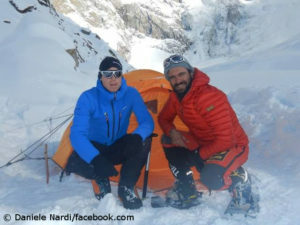 However, slowly, but surely the hope of being able to find the climbers Daniele Nardi and Tom Ballard, who are missing on Nanga Parbat, alive is fading. For six days there has been no sign of life from the 42-year-old Italian and the 30-year-old British. Thick clouds hid the 8,125-meter-high mountain on this Saturday and prevented again that the rescue action could be continued. As the weather was also bad on K2, the plan to take the Spaniard Alex Txikon and three of his team members by helicopter to Nanga Parbat could not be implemented. Txikon and Co. want to support Muhammad Ali “Sadpara” and two other Pakistani mountaineers in their search for Nardi and Ballard, among others things by using two drones. A lost day. 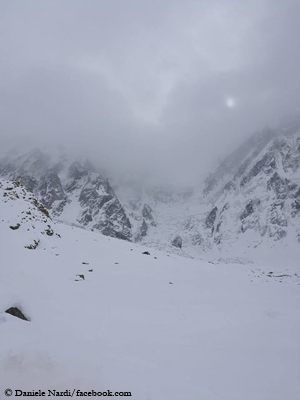 Low clouds around Nanga Parbat today prevented the helicopters from taking off again to search for the two climbers missing since Sunday, 42-year-old Italian Daniele Nardi and 30-year-old Brit Tom Ballard. In addition there were bureaucratic problems. According to Daniele’s home team, the private agency Askari, which handles the Pakistan Army’s rescue flights, demanded an advance payment for a helicopter to pick up Spanish climber Alex Txikon and three of his team members from K2 Base Camp. Alex and Co. had offered to fly to Nanga Parbat to support the search for Nardi and Ballard. Nardi’s family wanted to advance the necessary money. Valuable time was lost through the back and forth, the weather worsened and the flight had to be postponed to tomorrow’s Saturday.